Make a donation and help someone in need at the same time. 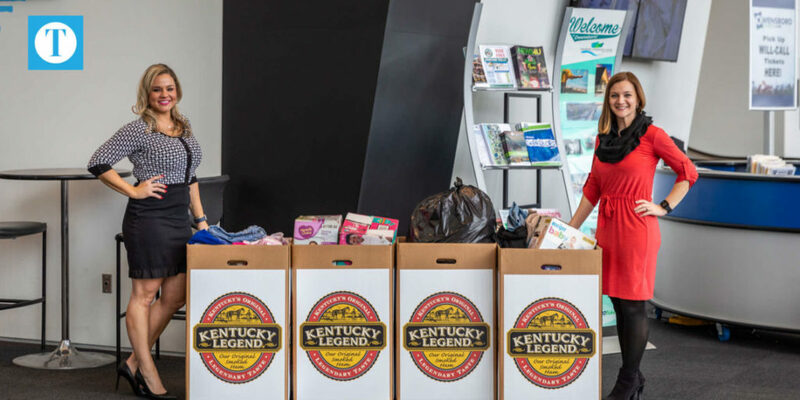 Spectra, the providers of Venue Management and Food Services & Hospitality to the Owensboro Convention Center, are proud to partner with Kentucky Legend® for the Spring Cleaning Clothing Drive. Beginning today through Friday, March 29, bring any gently worn clothing, shoes, or accessories in newborn to adult sizes to the Owensboro Convention Center. Donation boxes will be set up near the front desk inside the Convention Center Lobby. All donations received from the Kentucky Legend® Spring Cleaning Clothing Drive will benefit the Daniel Pitino Shelter for Homeless Families and St. Benedict’s Emergency Shelter for Men. “Now is the time of year when everyone is cleaning out their homes and closets, so Kentucky Legend thought we could help our friends at St. Benedict’s and the Daniel Pitino Shelter all at the same time. These organizations provide so much care for our community, and it was important to us to show support for them as well. We’re excited to help facilitate this simple opportunity to give back.” Says Brooklyn Maple, Brand Director for Kentucky Legend. Make a donation of five or more items and receive a voucher for 50% off at the Artisan Café by Kentucky Legend® located inside the Owensboro Convention Center. The Café is open 10am to 3pm Monday – Friday and during special events. The Owensboro Convention Center Celebrates 5 Year Anniversary!